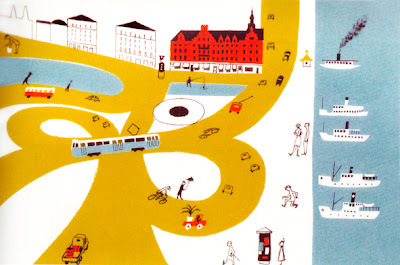 Olle Eksell was a highly renowned and influential Swedish graphic designer. This beautiful book documents a life's work. The book itself is a written in a mix of Swedish and Japanese, so I can't offer up much on the thinking behind the work or the man himself. But, if picture says a thousand words, Eksell's work speaks volumes. 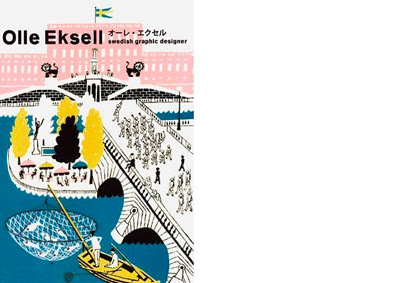 There’s beautiful designs for book jackets, posters, packaging, textile design and more. Colourful, fun, endearing illustrations are central to most of his work. 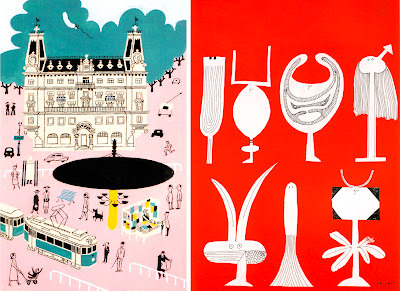 Loaded with colour illustrations this book is a true fest for the eye. 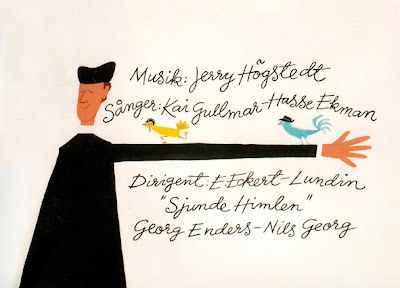 At his most prolific in the 1950s, Eksell continued to work into the 90s. Sadly, he passed away April, 2007, but what a legacy he leaves behind. Olle, a very big thank you.